The Blakehay Theatre can be hired and used for a variety of events, performance, exhibitions, parties, meetings, conferences, classes, and so much more. As well as the equipment and facilities available, we can also offer the services of skilled technicians to operate lighting and sound, plus a full staff including duty manager, Box Office, front of house and bar staff. Please see the individual pages for more detailed information, or feel free to contact us to see how our fantastic facilities can meet your requirements. 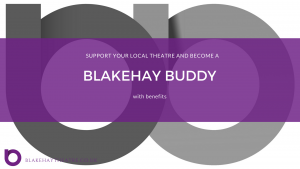 The Blakehay Theatre has a busy artistic programme and can get booked up a long way in advance. We do recommend early booking to avoid disappointment, particularly for use of the Main House. We will always do our best to find a suitable date for you, so it is worth contacting us, even if it is short notice. We are very happy to meet with you to discuss your event and show you around The Blakehay Theatre. It’s a beautiful space and we like to show it off! It also gives you the chance to check it’s the right space for you. Please note we are now taking bookings for the next season – October 2019 – April 2020. The deadline for bookings who would like to be included, free of charge, in our brochure is midday on 31st July 2019. How to hire our spaces? Please complete our Booking Enquiry Form and return to the theatre. We will then be able to give you a provisional booking with quotation based on the information you supply and send you our Hire Agreement Form. We do our upmost to ensure that all of our hirers have a fantastic experience at The Blakehay Theatre and so please feel free to contact us if you have any queries on our booking process. The Main House is a beautiful intimate theatre that was converted from the old Wadham Street Baptist Church. 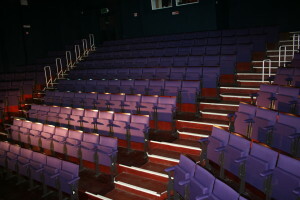 It is a 207 fixed seat style with the stage at ground level. The round cyc is white with black curtains and red stage tabs with a black stage floor. The Main House can be hired as a stand alone rehearsal space or as a performance venue. There is access backstage through the stage door and small loading doors straight onto the stage. The seating is raked and each has a great view of the stage. The main house seating is accessed from the front of house via the foyer staircase or through our ground level access. 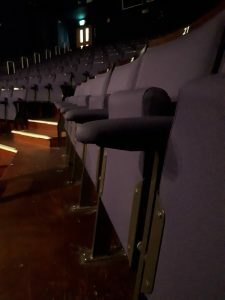 Hire of the main house for a performance also includes use of our two backstage dressing rooms, small green room, backstage toilets, two Juliette balconies and access to our technical box, as well as our in-house technician. Performance hire also includes a full box office service, front of house staff and theatre bar open before the performance and for an interval. We are delighted to have our first floor Studio Theatre completed in February 2018. 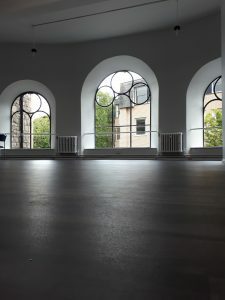 The Studio Theatre can be hired as a small performance venue or as a large rehearsal room. The studio can seat up to 100 people and has a small raised stage. The Studio Theatre technical equipment has just finished being installed, so please contact us for further information. The Studio Theatre is a flexible space with loose seating and so different variations of seat arrangements can be made in this room. Please note that this is on the first floor and there is no disabled access to the Studio Theatre. 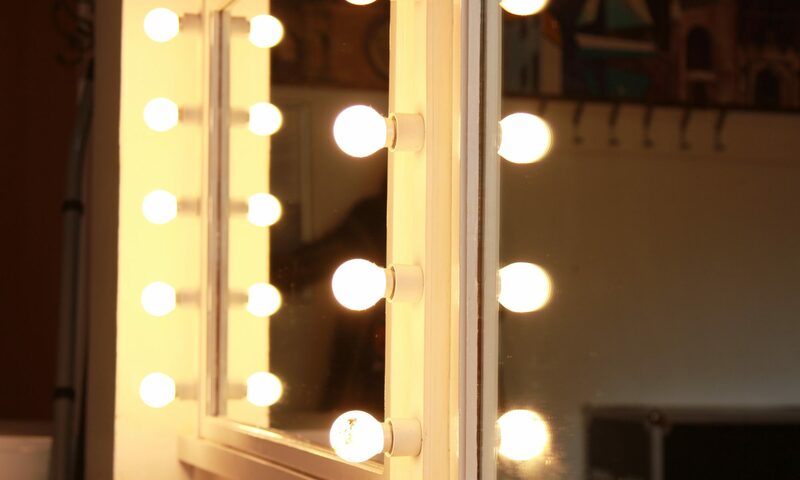 Hire of the studio theatre for a performance also includes access to, small green room, backstage toilets, access to technical equipment, as well as our in-house technician. 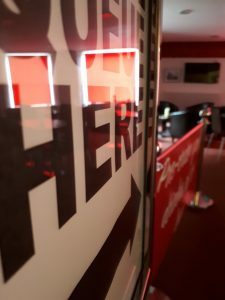 Performance hire also includes a full box office service, front of house staff and theatre bar open before the performance and for an interval. The studio spaces are now available to hire for rehearsals or as extra dressing rooms and have direct access through a new corridor to backstage. 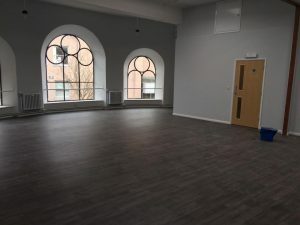 With a beautiful multi-purpose floor and light and airy windows these Studios are great and can be hired separately or opened up into one large space. Studio 1 is the largest o f the two areas available and this has beautiful views over Grove Park. It is ideally situated as a studio for classes or as a rehearsal space. The room can also be set up for meetings, talks or for training sessions, and has a maximum capacity of 60 people. Studio 2 is a smaller, more intimate space, but has access to the Studio Theatre stage making this studio feel larger. Studio 2 is ideal as a meeting space or as a training place for a small amount of people, and has a capacity of 40 people. Situated on the ground floor of our foyer and fully accessible to all patrons, the Theatre Bar is the perfect place to unwind with a drink before a show and offers a welcoming and comfortable meeting place. It can accommodate a maximum of 50 people and can be used for meetings, parties, training, talks and exhibitions and has the added benefit of access to a small private courtyard. It is an intimate space that offers a relaxed performing space or for an intimate evening. The bar operates as a bottle bar with a selection of alcoholic and soft drinks available at competitive prices. We do our best to try and serve locally produced beverages at the bar including Butcombe Gold & Thatchers Gold alcoholic drinks. We also sell a limited selection of hot beverages, a small selection of sweets and crisps as well as the locally produced Chew Moos Ice creams for you to purchase and enjoy. Our fully licenced bar is open for all public performances, therefore it is not possible to hire separately during a performance. The theatre Box Office is open from Tuesday – Saturday from 10am – 2pm and all performances and events must use the theatre box office for their shows. All of the theatre tickets are available to purchase online. We are also able to offer a box office service for external venues. This will include selling your tickets through our box office during our daily opening hours and can also be sold online. 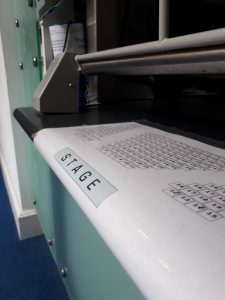 The box office service includes producing all paper tickets for your event, but does not include an on the door service however all paperwork would be supplied for this to be available. Quotations for this are available upon request for the theatre and are dependant on the amount of tickets require.